Ariba - Ariba's software and services leverage the Ariba Network platform to automate and integrate the internal and external commerce processes of buyers, suppliers, Net market makers, and value-added service providers. Automated Power Exchange (APX) - E-commerce connection to the wholesale electricity marketplace. B2B Yellow Pages - Business-to-business (B2B) Yellow Pages and Business Directory. Free listing allows buyers and sellers to easily locate or advertise B2B websites for their product and service needs. Buzzsaw - Project workspace for the construction industry. A faster, easier way to find the material, specification, or detail you need. Commerce One - Enables buyers and sellers around the world to trade in a barrier-free environment and creates new business opportunities for all trading partners. Commerx - Leveraging decades of expertise, Commerx provides web-hosted, collaborative eMarketplace supply chain solutions in the plastics, metals and packaging industries. Digital River - E-commerce solutions. Manages more than $3 billion in global online sales annually. Dovebid - Business auctions worldwide. Conducts many of the world's largest, most successful auctions on behalf of corporations, government agencies and financial institutions. EE Times - Comprehensive worldwide franchised network of electronic components inventory and publisher of related electronics content and information. FilmStew - B2B portal, providing products, services, and talent resources required by the international film and television production industry. fob - A leading provider of eProcurement services for raw materials, enable customers to purchase business-critical raw materials more efficiently and cost effectively. freightquote - Freight services: rate your shipment, choose a carrier to pick up your shipment, track your shipments. FuelQuest - B2B focused on providing hosted private marketplace offerings for distributors of lubricants, fuels and specialty chemicals. Provides an e-marketplace platform and service offering to thousands of petroleum marketers who distribute the majority of petroleum products in the U.S.
GE Capital Fleet Services - Complete contract hire fleet management and leasing services. GoFish - Seafood exchange, news, and market data. GovCon - Digital marketplace for the government contracting industry. Grainger - A leading North American business-to-business distributor of maintenance, repair, and operating (MRO) supplies, services and related information. Access over 600,000 products and three convenient ways to order: online, over the phone, and/or at a local branch. CommercialSource - The official commercial real estate site of the National Association of Realtors (NAR). HomeBuilder - A leading provider of information on newly built homes, with listings for over 125,000 new home and planned developments throughout the U.S.
HomeFair - Comprehensive content and services for people moving to a new home or relocating to another community. REALTOR - The most visited real estate site on the Internet, with approximately 1.3 million home listings from over 600 regions in the U.S. and Canada. SpringStreet - Listings for over 6 million apartment units in 6,000 cities nationwide. Infomat - B2B fashion industry information. Find 350,000+ international designer showrooms, retailers, manufacturers and suppliers. Internet Capital Group - An Internet holding company primarily engaged in managing and operating a network of business-to-business (B2B) e-commerce companies. InterXion - Develops and operates Data Center facilities for Internet Service Providers, E-commerce providers, and telecommunications companies throughout Europe. These Internet Exchange Centers - or Carrier Hotels - are state-of-the-art, full-service locations. In these facilities, InterXion offers the solution to a large and growing problem of connectivity in the Internet and telecommunications space. Liquidation - Buy and sell surplus goods and services in the business-to-business market. LoopNet - A leading commercial real estate marketplace, offering a selection of online products and services designed to streamline commercial real estate transactions. Manheim Auctions - Volume wholesale automobile auction company with over 60 auction locations in the USA and Canada, nine auctions locations in the United Kingdom and one location in Puerto Rico. Manheim handles more than 5 million vehicles each year. Marex Spectron - World's largest privately owned broker of financial products in the commodities sector and a leader in brokering physical energy products. Delivers intelligent, efficient and confidential trading solutions for OTC and exchange-traded instruments in the global commodities and financials markets. Noosh - Commercial printing: manage and procure print, packaging, electronic media, creative services, and direct mail online. Noosh.com has features that help its customers advance a project through every stage of a job's workflow - from creation to delivery. NTE - Enables manufacturers, retailers, third-party logistics providers and others who ship goods or materials to quickly buy available transportation capacity from carriers. Onvia - E-marketplace for small business. OracleExchange - An open, online e-business trading community where companies can extend their market reach, access a global supply base, instantaneously share information, and collaborate effectively across the supply chain. PennWell - A highly diversified, business-to-business media and information company with 320 profit centers, including 130 print and online magazines and newsletters, 60 conferences and exhibitions on six continents, and an extensive offering of books, maps, websites, research products, digital media, and database services. SAP - Inter-enterprise software solutions allow people to harness the power of the Internet to work smarter, better and faster by optimizing supply chains, managing strategic relationships, reducing time to market, sharing virtual information, and increasing productivity and shareholder value. SciQuest - A leading business-to-business e-marketplace for scientific products used by pharmaceutical, chemical, biotechnology, industry and educational organizations worldwide. Staples - Office and business supplies, furniture, and technology. Transportation - Online marketplace for carriers, shippers and private fleet owners. 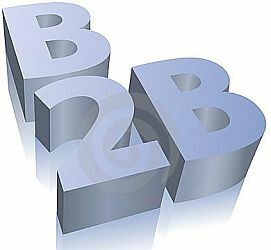 Ventro - Focused on building and operating the next generation of business-to-business (B2B) companies, Ventro currently includes Amphire, Broadlane, Chemdex, Industria, MarketMile, Promedix and Ventro Life Sciences (Europe) each with its own industry-specific management teams. WebMD - End-to-end Internet healthcare company connecting physicians and consumers to the entire healthcare industry - from patients to physicians to hospitals to insurers to employers and all other healthcare organizations. XSAg - Buy and sell agricultural chemicals, seeds, parts and equipment at XSAg with web auctions, fixed price, and "name your price" listings. 24-7 RealMedia - Provider of Internet advertising sales, advertising-management software technology and media services to over 1,000 branded content sites and portals worldwide. ABC Interactive - Subsidiary of the Audit Bureau of Circulations. Provides third party verification and audits of Web site metrics. Akamai - Provides businesses with dependable, high-performance delivery of rich Web content and Internet applications through services that are scalable, easily implemented and easily managed. America Online (AOL) - A world leader in interactive services, Web brands, Internet technologies, and e-commerce services. Attachmate - Helps empower IT organizations to deliver trusted applications, manage services levels, and ensure compliance by leveraging knowledge, automation, and secured connectivity. BizTalk - A community of standards users, with the goal of driving the rapid, consistent adoption of XML to enable electronic commerce and application integration. Bluestone Software, Inc. - A leader in Enterprise Interaction Management - the controlled exchange of web-enabled enterprise information. BravoSolution - Spend analysis, sourcing, supplier performance management and healthcare sourcing solutions. BroadVision - A leader in personalized e-business applications. BroadVision's suite of integrated applications are built for delivery via the Web and wireless devices to enable personalized interactions and transactions with customers, partners, suppliers and employees. Context - Specializes in e-commerce, enterprise relationship management, and web business intelligence solutions. Copernicus - Makes the content on B2B sites interactive and personalized through solutions that enable users to capture, organize and share their digital information in a Personal Web stored at your portal - creating a network of users revolving around your site. CosmoCom - Provides enabling software technology for call center solutions that support standard voice telephone and Internet/intranet-based multimedia communications. Digital 4 Sight - E-business strategy consulting firm. ebizQ - Portal site for e-business integration. E-Commerce Times - Daily news and feature articles for entrepreneurs and companies doing business on the Internet. ebusinessforum - To help you keep pace with the e-business revolution, this site provides forward-looking analysis of new business models, best-practice case studies, briefings on the latest innovations in e-business world-wide, and country-by-country assessments of e-business opportunities around the globe. eCommerce Bytes - Source of news for ecommerce and online merchants. econsumer.gov - File cross-border e-commerce complaints; information about e-commmerce fraud and scams. eFORCE, Inc. - Systems integration provider focused on meeting the strategic e-commerce goals of companies in market sectors ranging from high technology to manufacturing and financial services. Electron Economy - A Managed E-Business Service Provider integrating critical components of commerce operations for traditional and e-business companies. Electronic Commerce Today (EC Today) - Electronic commerce information: business intelligence about the technologies of imaging, electronic data interchange (EDI), E-Mail, integrated messaging, Internet, external networks (VANs), groupware, electronic funds transfer, fax, electronic benefits transfer, forms processing, and more. epicRealm - Global e-commerce service provider. Epoch - The nation's largest privately held ISP provides the fundamental building blocks for e-business. eStoreManager - Online selling solutions: Catalog Builder, Order and Store Management System, Transaction Processing, Secure Hosting, Personalization. Genesys - Management solutions for the enterprise contact center, e-businesses, and service providers. GIGA (Giga Information Group) - A leading e-business advisor that helps companies and institutions reach and maintain elite e-Business status through a combination of objective research, advice and continuous technology coaching. GIS Commerce - A leading provider of ecommerce and interactive marketing services for the world's premier brands and retailers. GS1 - An independent, not-for-profit organisation working to make UK organisations more efficient by getting everybody speaking the same language when it comes to locating, transporting and trading goods. Sets standards, using unique numbers, for global use which makes the reliable identification of products and assets possible. Harris Interactive - Internet market research worldwide. ibill - A leading worldwide provider of secure transaction processing solutions for business-to-consumer and business-to-business electronic commerce. We provide turnkey billing solutions to sellers of web site content, services, and products--whether they have an existing Internet Merchant Account or not. Idea - Internet and new media solutions provider specializing in the comprehensive e-Integration of business and technology. iMedium - A leading Application Service Provider (ASP) that develops, markets and sells software and services that enhance company CRM initiatives. JDA - Supply chain management and ebusiness solutions. Joint Industry Group for Web Traffic Measurement (JICWEBS) - Seeks to ensure independent development and ownership of standards for measuring use and effectiveness of advertising on electronic media, including Web, SMS, WAP, PDA, email and chat traffic in the UK and Ireland. Keynote - Web performance measurement and management services that improve the quality of e-business. L-1 Identity Solutions - Leveraging the industry's most advanced multi-modal biometric platform for finger, face, palm and iris recognition, L-1 Identity Solutions provides a circle of trust around all aspects of an identity and the credentials assigned to it. This includes proofing, enrollment, issuance and usage. MicroStrategy - E-business software and solutions. NaviSite - An Application Service Provider (ASP), NaviSite specializes in Internet outsourcing solutions to help companies thrive in the e-business era. NetZero - Internet service that provides consumers with free and easy access to the Internet while offering advertisers a highly effective way to target those users. Nortel Networks - Comprehensive portfolio of networking products and services. ObjectSpace - A business-to-business integration (B2Bi) company whose products enable organizations to streamline their collaboration, communication and integration with trading partners over the Internet. Omnicell - Automates the healthcare supply chain, providing systems and e-commerce services that increase operating efficiency and reduce costs. OneChannel - Provides manufacturers, distributors, and retailers with integrated, collaborative packaged analytic applications for measuring multi-channel sales performance. OpenText - An enterprise software company and leader in enterprise content management, helps organizations manage and gain the true value of their business content. OpenText brings two decades of expertise supporting millions of users in 114 countries. Oracle E-Business Suite - Comprehensive suite of integrated, global business applications. Quest Software - Delivers information and application availability solutions that enable performance and reliability of e-business, packaged and custom applications. PTI - Develops and delivers scalable, hosted application services designed to help printers increase competitive position, strengthen customer relationships, manage digital printing and workflow, and boost buying power. ReD - A world leader in payment fraud prevention and payment processing. Roxio - Provides software and services that enhance every step of the digital image and video communication cycle, including capturing, creating, streaming, viewing, storing, editing, sharing, and printing. RSA - Trusted name in e-security, helping organizations build secure, trusted foundations for e-business through its two-factor authentication, encryption and public key management systems. SAS Institute - Develops, markets, and supports the data warehousing and decision support software. Scene7 - Helps companies deliver on the power and promise of the web. With a suite of highly visual, interactive technologies, Scene7 enables companies to sell more effectively and efficiently - online, in-store and in-person. Scient - Delivers electronic business solutions to create market leadership, breakthrough positions, and shareholder value. SPSS - Data mining. SPSS' solutions integrate and analyze marketing, customer and operational data in key vertical markets worldwide including: telecommunications, health care, banking, finance, insurance, manufacturing, retail, consumer packaged goods, market research and the public sector. Talisma - Comprehensive suite of eCRM solutions, which are the easiest to deploy, use and scale. The Next Big Thing (TNBT) - Guide to ebusiness strategy and ecommerce news. Tilion - Provides an infrastructure service for in-the-net analytics using the Internet as the means of gathering commerce transactions and distributing analysis to customers. VerticalNet - Online information resources, communication vehicles, and e-commerce channels for industrial, professional, and technology-based businesses. Viador, Inc. - Portal platform for the e-corporation. Web - A global leader in Web hosting solutions ranging from a basic Web site to a sophisticated e-commerce storefront. Web Marketing Today: E-Commerce - Articles, links and resources on e-commerce provided by Wilson Internet Services. webclipping - With WebClipping.com, you'll know if you, your products or services are mentioned anywhere on the Internet. Provides relevant, timely and accurate information about you or your company's mention in the online press; competitors' activities; potential acquisitions or mergers; consumers' views - positive and negative - about your company and products; copyright or trademark abuse; grumblings from unhappy employees or customers; false or misleading product claims or even innovative new uses for your products. WebProWorld - Forum for eBusiness. WholeTree - E-business integrated multilingual support. WorldPay - A leading provider of complex electronic payment services. Zland - The ZLand.com suite of hosted business solutions enables you to place company, product, and employment information on the web, sell products on-line, and automate a wide range of operational activities, such as human resources, sales, payroll, or purchasing - all for a fraction of the cost and effort associated with the internally. This webpage last updated on Wednesday, January 6, 2016 2:42 PM.